Referees: Ženiš, Lamoš, Bartoš (all SVK). Venue: Športová hala Levice (SVK). Scorers BK Patrioti Levice: Pita 25, Davis 17, Bojanovský 14, Benjamin 12, Žiak 12, Alexander 9, Bachan 5, Krajčovič 5, Adámik 2, Volárik 2. Scorers KK Vrijedosnice Osijek: Gospič 12, Vrkič 12, Ihring 10, Perič 10, Abu 6, Sango 5, Dmitrovič 3, Darling 2, Mandič 2. Perič opened the game with successfull 3-pointer, but Levice answered with six points in a row. Home team played good in defense, they forced Osijek to many turnovers. With that, the score after six minutes was 16:6. Croatian team woke up in that moment, they managed to lower the deficit. After first quarter it was 22:16 for Slovak team. In the second period Levice got even better in offense, they quickly gained double digit lead. Osijek was not doing well in offense, so after 20 minutes they were trailing 33:51. After the break not so much changed, the bench of Levice was keeping high energy and tempo, so the lead was still raising. Before the last quarter, Patrioti were in 28-point lead – 74:46. Last minutes brought many good moments on home side, fans were enjoying the road to the biggest win of the season. 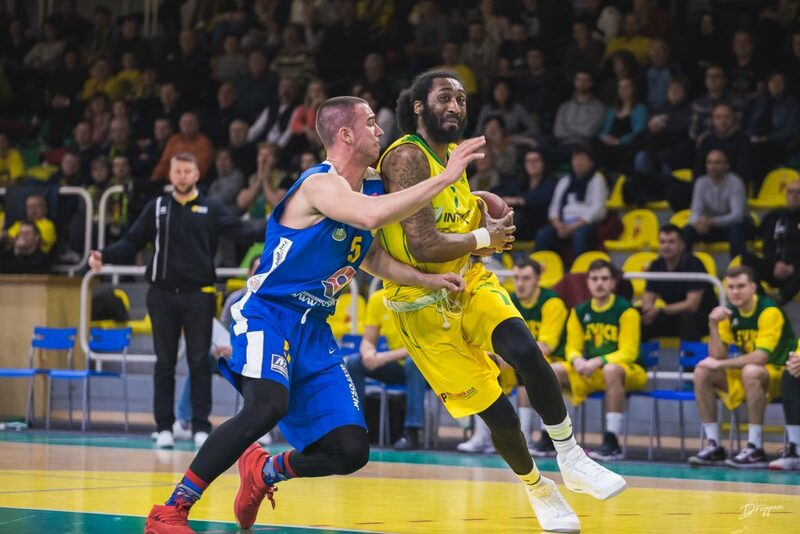 Levice made a big statement in first quarterfinals match, they destroyed Osijek 103:62.